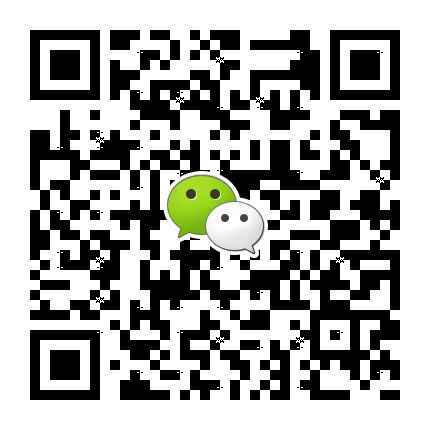 高尔夫摄影是比较冷门的拍摄项目，我是香港一家高尔夫杂志的签约摄影师，为各种职业和业余比赛拍摄照片，拍摄过亚洲巡回赛，中国巡回赛等大型比赛，广州的球场基本都拍过了，作品曾在中巡赛年度摄影比赛获得第二名。Golf photography is, relatively, a less popular genre of photographies. 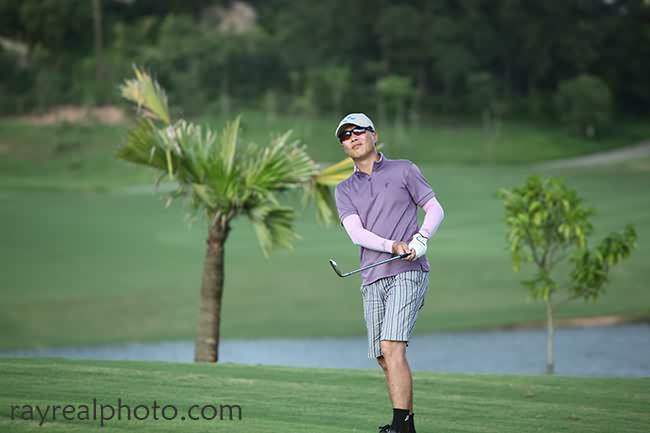 I’m a photographer contracted to a Hong Kong golf magazine, photographing for a variety of professional and amateur tournaments or matches, such as the Asian Tour, China Tour, etc. 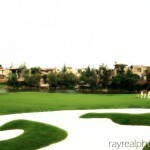 My photographs have covered almost all the golf courses in Guangzhou, and once won the second place in the Annual Photography Contest of China Tour. 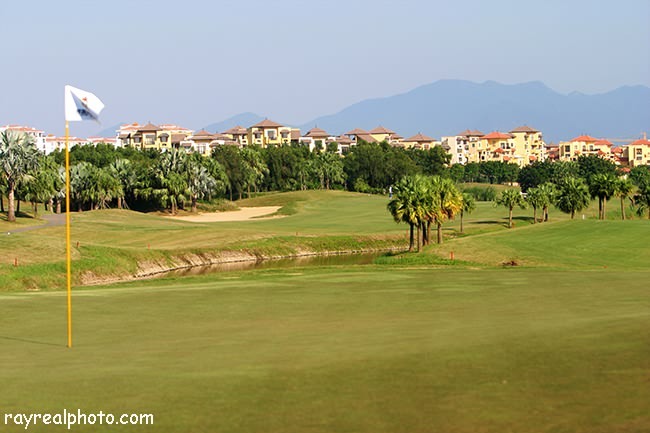 The golf club in Palm Island seated in Danshui, Huizhou, not far away from Guangzhou, is attractive to many Hong Kong golf-lovers, and I’ve been there for photography for couples of times. 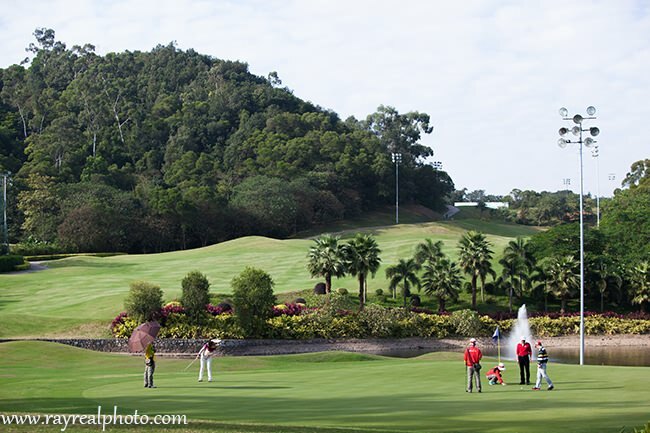 Apart from the congenial golf course, its food and drink are quite distinctive, for all the raw materials are completely grown or raised by the club itself. 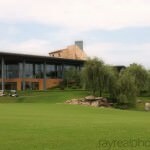 Thanks to an interview, I had a chance to enjoy the sumptuous dinners there, impressively. 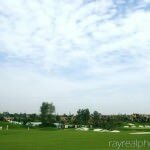 Today let me show you some photos of the golf course, and those of tournaments and delicacies will be presented in the future. 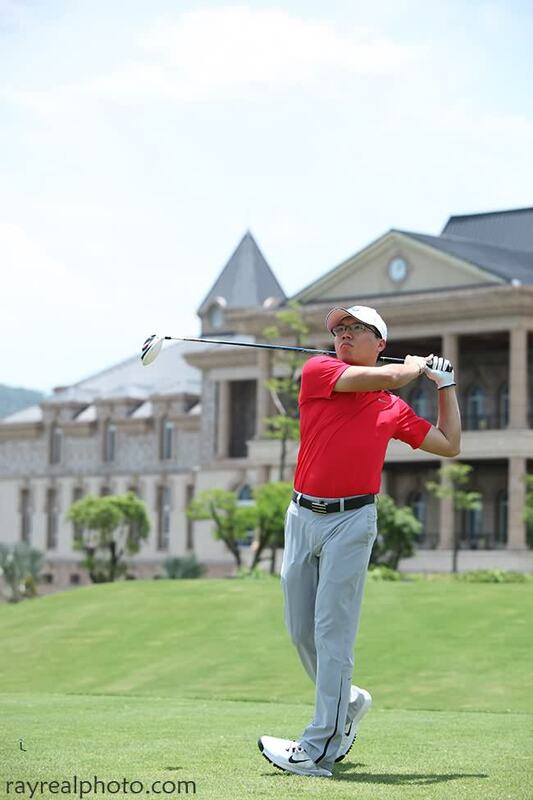 At Golf tournament, I always aim at players and track the ball when they are playing, swing smoothly. 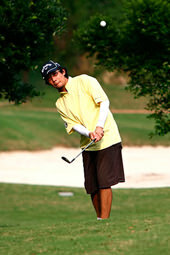 Followed golfer’s every move. 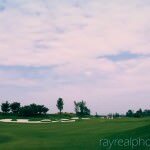 Actually, the golf course is so beautiful when you are looking around it, but I do like the course with many trees, you would ask me why? 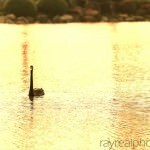 Because trees can offer me shadow to hide in sun, so that I can escape from the scorching sun for the time being. 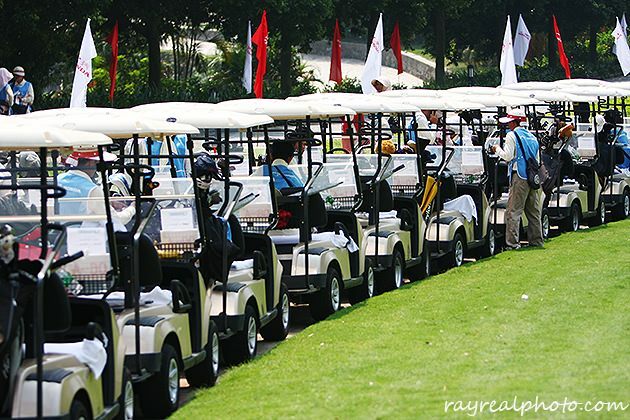 For if there are no those trees block the hot sun, I will get a very bad sunburn after the 4 hours’ golf match. 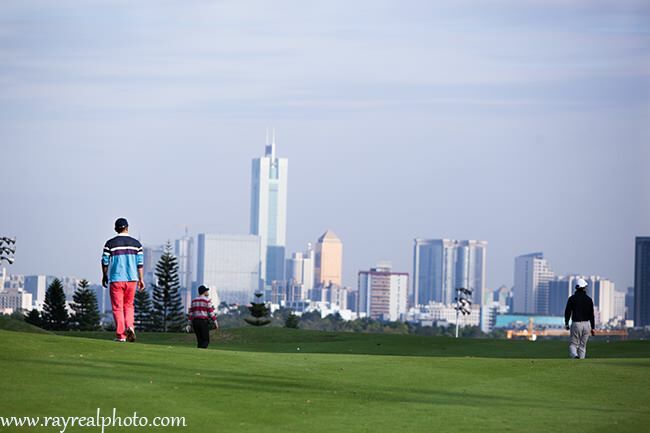 Today, I share some photos of the Nansha Golf Club, mainly golf course scenery, game photos not posted for this time.Ray,Guangzhou. 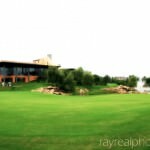 Golf photography is an integration of sports photography, landscape photography and golf knowledge. 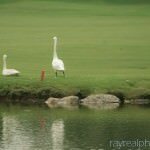 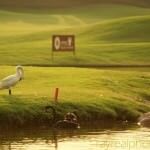 At the course of photographing in Lushan Mountainin, Chengdu, I was enthralled by the swans there, white or black, radiated with nobility and elegance, adding another kind of relish to the golf players’ hitting or walking. 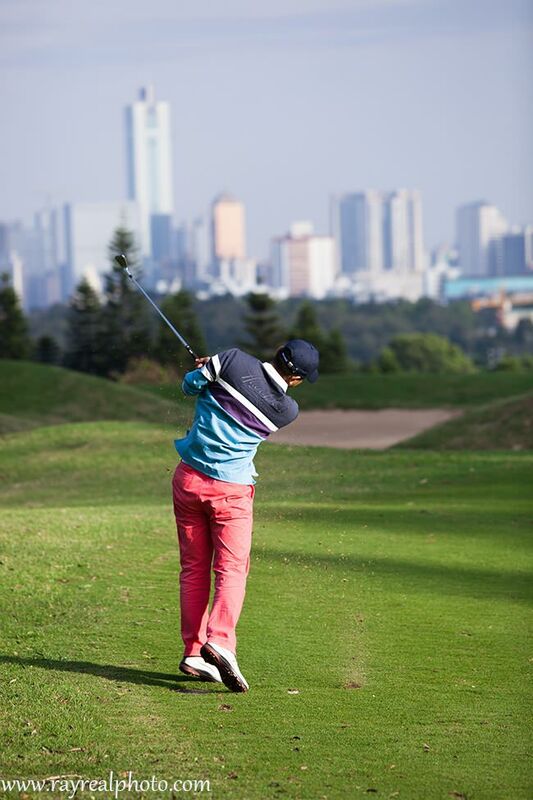 Chengdu, as the capital of Sichuan, dubbed the Land of Abundance, is a venue of elites and wealth. 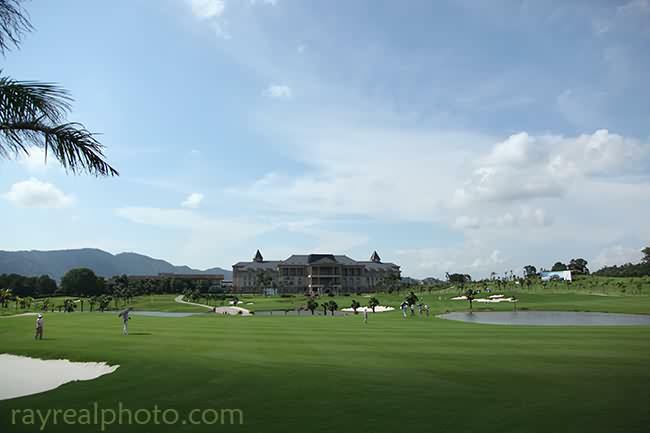 Compared with the Sichuan International Golf Course in the Mumashan Mountain, Luxehills Golf Course is more outlandish, for it was built in northern American style, and designed by MARK Hollinger. 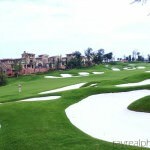 There are some real estates inside too, i.e., exquisite villas stand one after another on sides of fairways. 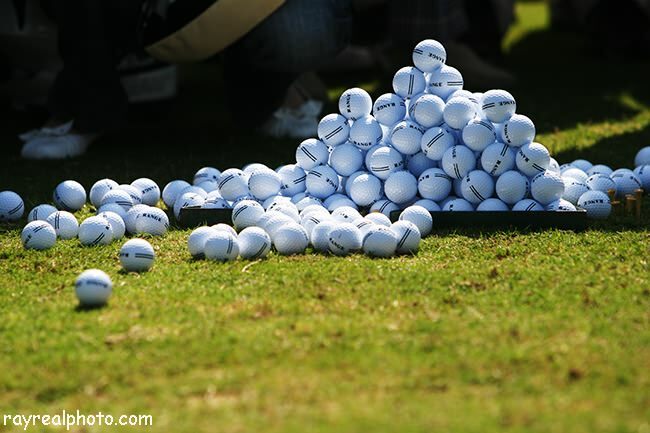 Suzann Pettersen, from Norway, started playing golf at six, with her extraordinary endowment and Nordic physique and temperament. 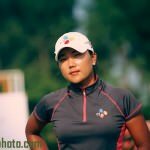 Though born in the 1980s, she has accomplished distinguished achievements with her hard efforts. 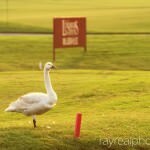 In addition, she is also the ambassador of famous brands. 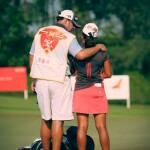 She even came to China for competitions for couples of times, and I once captured some of her photos at LPGA match. 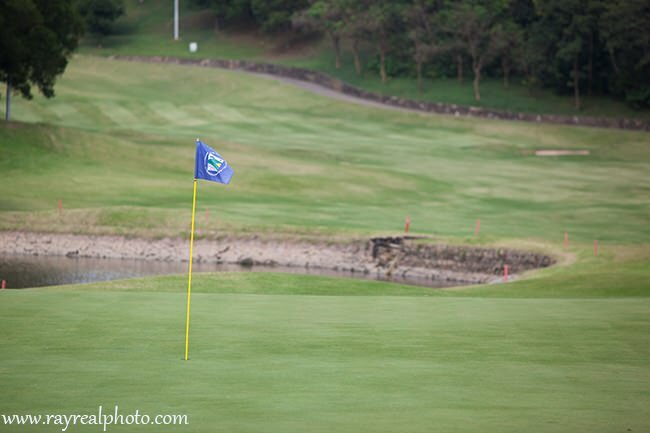 During the four days’ match, she maintained professional no matter it was sunny or stormy. 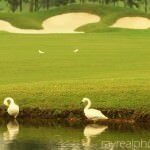 Her delicate elegance captivated huge numbers of people, including myself, a photographer from Guangzhou.